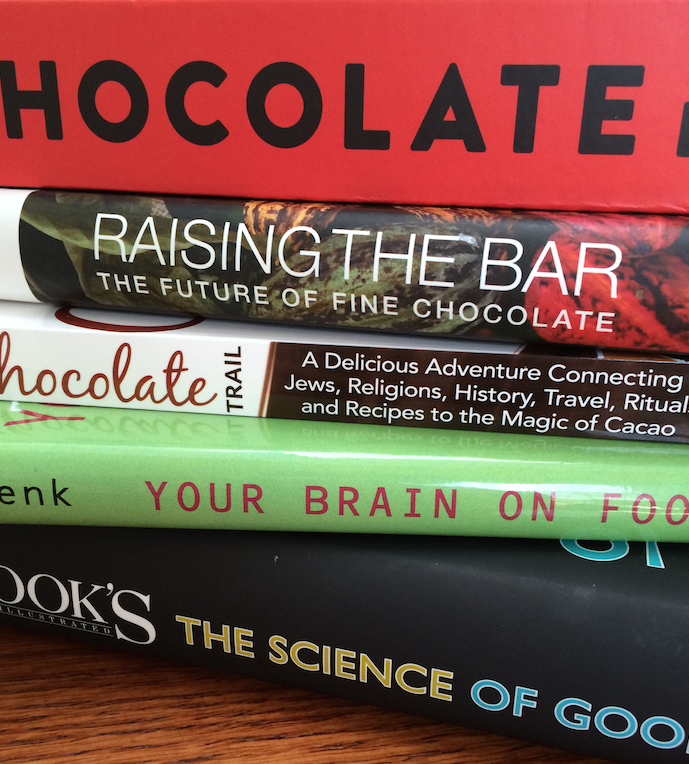 Chocology Unlimited | Chocology Today tagged "Your Brain on Food"
We’re packing for our cross-country road trip coming up on April 17th. Can you guess what’s at the top of my suitcase list? What’s a fun trip without books? I have four piled up and what do you suppose all four books have in common? They’re all about chocolate, naturally . . .
Will you be traveling with us in our virtual backseat? If so, what books will you bring? Tell us all about it on Facebook, Twitter or Instagram. We’re looking forward to having you with us on this cross-country adventure! Let’s get packing . . .